Rosemary Beaumont’s article is timely. 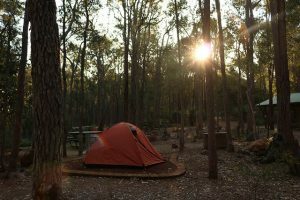 The Great Southern Forest is part of a larger picture which will see the fate of over 6 million hectares of Australia’s most loved native forests decided between now and 2021. Either they will be handed to the logging industry for another 20 years, effectively to become woodlots, or the federal government will resume environmental oversight and give the forests a chance. 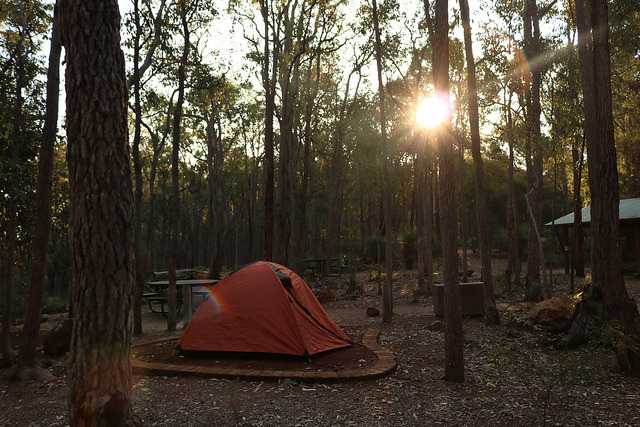 In 1992, after decades of forest conflict, Australian governments adopted the National Forest Policy Statement (NFPS) with the goal of conserving “the full suite” of forest values for current and future generations, including specifically biodiversity and endangered species and communities. While dated it is a benchmark, an agreement signed by all governments that remains in force if not enforced. The NFPS is the foundation for the 20-year Regional Forest “Agreements” (RFAs) signed in the late 1990s between the Commonwealth and Victoria, NSW, Tasmania and WA. These, while adding some areas to the reserve system, lifted controls on export woodchipping, intensified native forest logging and required the Commonwealth to compensate the state for any conservation action that restricted logging. They offer one industry – native forest logging – immunity from national environmental standards through a special ‘logging law’ (Regional Forest Agreements Act). It is no surprise, 25 years on, that RFAs have proved an environmental disaster enumerated in report after report. The federal government’s own slow and cumbersome threatened species assessment process confirms that iconic forest-dependent species like the Swift Parrot, Leadbeater’s Possum, the Koala, and the Forest Red-tailed Black-Cockatoo are moving ever closer to extinction. 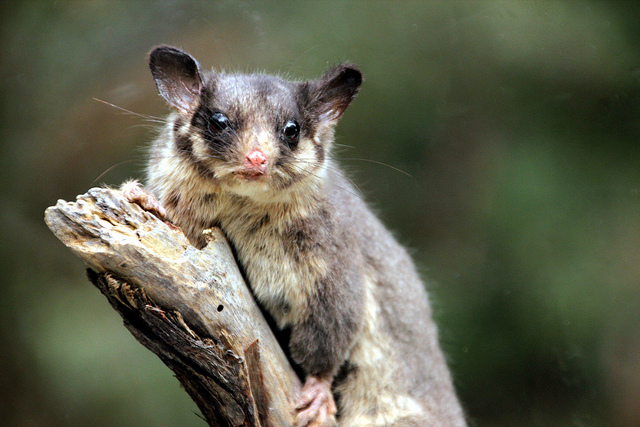 The Greater Glider, Australia’s largest gliding possum, was until recently common throughout its eastern Australian forest range, but has become scarce because of logging, fire, and loss of mature hollow-bearing trees. Worryingly it was listed as vulnerable in May 2016. Lesser known species and communities are going the same way unrecorded and unremarked. The domestic wood products industry meanwhile has shifted almost entirely to plantations as have export woodchip markets. As old hollow-rich forests are liquidated, the residual native forest industry is taking ever younger trees and searching for new markets — burning biomass for energy, and chicken bedding amongst others. The preferential position of state government forestry agencies has blocked opportunities for growth and innovation in competing forest industries like tourism and recreation, and prevented recognition of the value of forests for water and climate regulation. Widening the view to encompass the 125 million hectares of forests and woodlands across the continent on public, private and leasehold land, which the NFPS aimed to maintain, the picture is no better. Clearing continues apace and a suite of species and communities are under threat, even once common woodland birds are slipping away. Climate change is compounding the pressure. We can reverse course and start living with nature instead of waging a constant war of attrition. This is failure on any terms. It fits the global pattern where human activity has become the major driver of planetary change and which, if it continues, will certainly end with irreversible loss and degradation. But it is not yet inevitable. We can reverse course and start living with nature instead of waging a constant war of attrition. People love forests. Most Australians live in or near one, They are places of beauty, adventure, recreation, curiosity, wildness. For moral reasons, as well as all the reasons Rosemary enumerates, we need a long-term commitment to restore biodiversity, bolster ecosystem resilience and rebuild carbon stocks not only in the Great Southern Forest of NSW but across the continent. That will require genuine engagement with Indigenous Australia and acceptance that nature is our shared heritage and the Australian government should be responsible and accountable for its fate. A commitment to nature must be backed with serious money. Defending nature is as much our collective responsibility as defending the country and should be paid for the same way – primarily from the budgets of federal, state and local governments. I do not support sourcing funding through carbon credits and especially not through the discredited Emissions Reduction Fund. Forests certainly store carbon which helps mitigate climate change but to value them on that basis turns the ‘polluter pays’ principle on its head – clearing and logging can continue unless paid to stop. Biodiverse natural ecosystems are resilient and more likely to persist and accumulate carbon for decades and centuries; like coal, oil and gas deposits, they should be kept in place to give the best chance of limiting climate change. 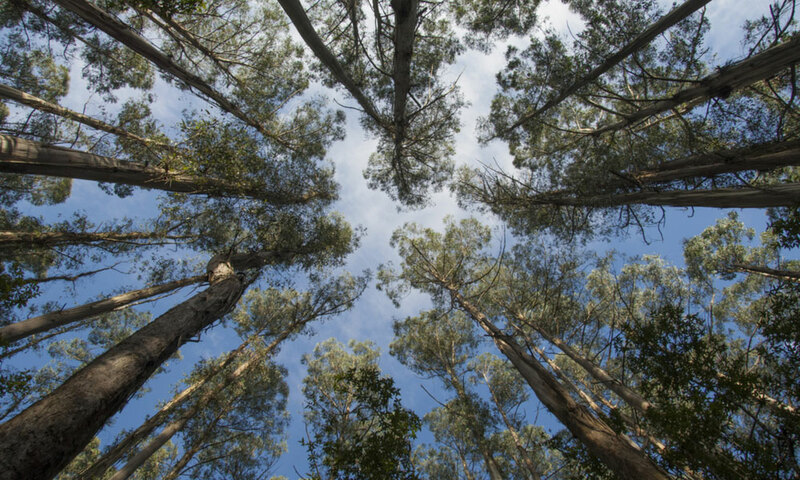 The 10 Regional Forest Agreements in NSW, Victoria, Tasmania and WA are about to expire. The federal government represented by the Minister for Agriculture and Water Resources is enthusiastically dealing with the states behind closed doors to entrench logging by rolling them over for another 20 years. Conservation and community groups across the country have a very different vision: Victoria’s Great Forest National Park, forests of East Gippsland, western Victoria, the Strathbogies; Tasmania’s Tarkine, Bruny Island and others; WA’s Forests for Life; NSW campaigns to end native forest logging, for the Great Koala National Park and Great Southern Forest; campaigns to protect key biodiversity areas, species like the Greater Glider and rewrite our environment laws, campaigns backed by knitting nannas, citizen scientists, professional scientists, lawyers, market activists and many more. Connections amongst groups such as these are fairly weak at present but there is huge potential to link them into a national network and then to start building support for a new commitment to nature – from quarry Australia to Australia as the place where nature is valued for its own sake and for its contribution to the wellbeing of Australians now and in the future. Moments where governments are confronted with having to make a decision about nature are rare. The looming expiry of the RFAs is such a moment and we should seize the opportunity to catalyse change — repeal the federal logging law, abolish the RFAs and commit to protecting and restoring nature across the continent.